Andi has been one of the strongest 70.3 athletes for years, especially on the bike. In 2017 he changed his focus, prepared for his first Ironman (IM Italy which he won), and started to plan for his first race in Kona by following the 2017 race on the island. Considering that his training is probably focused on longer sessions and that his half-distance races are just “fast training sessions”, you can’t read too much into these races. But just a few days after our chat below, Andi won Challenge Herning, indicating that his training is working fine and that he’s peaking towards Roth. 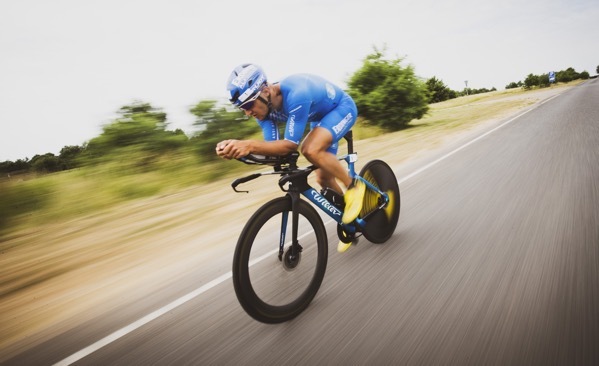 It’s tough to extrapolate from just one long-distance race, but his 4:16 bike in Italy was 13 minutes quicker than everyone else’s, and a 2:51 run gave him a 9-minute winning margin. Andi should be able to swim a bit quicker than Sebi and it would be a surprise if he doesn’t try to stay at the front of the race even when the fast bike riders such as Cam Wurf or Sebi are riding up to him. At the same time he has enough respect for the marathon to not go on a suicide mission on the bike (or early on the run). Overall, a sub-8 finish is totally within his reach when he races smart. 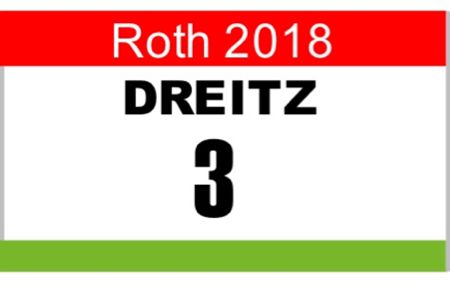 In Roth, that is typically enough for a podium finish. Thorsten: After switching to longer racing last year, how do you view your first 2018 results? Andreas: Unfortunately I wasn’t able to show a good race and get the results I was looking for. But the data and the equipment are great, so I’m really excited about the challenges in Roth and Hawaii. T: You’re living not far from Roth, have you had a chance to check out the courses? A: I’m really looking forward to race in my home region of Franconia. I know the area quite well and have watched the race almost every year. But I will probably spend another two or three days in Roth to have a clear picture of the course. T: You’ve had a great first IM in Italy, but racing the strong and deep field in Roth is probably going to be different? A: Of course Sebi is going to be the big favorite and he’ll be hard to beat. But also James and Joe have raced well in Roth and can rely on their experience. T: What’s your race plan for Roth? A: For long-distance races you have to focus on yourself and not get influenced by what others are doing. My best strategy will be to surprise my competition, so I can’t reveal too much. T: Your Kona slot seems to be safe, how will you approach the rest of the season? A: I’ll have a short rest break after Roth, then I’ll tackle the two big goal races of 70.3 Championships and Ironman Hawaii.